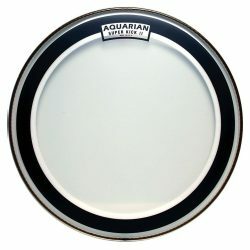 The Aquarian Deep Vintage II with Felt Strip is an extremely warm and controlled bass drumhead, giving a deep focused punch without overtones getting in the way. If you’re looking for a quick and fat bass drum sound that can handle heavy hitting, this is a great choice. 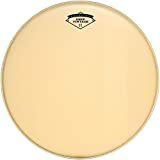 This is a very thick bass drum head made with two 10mil plies, a special-coated top layer, and an added felt strip along the inside of the head. 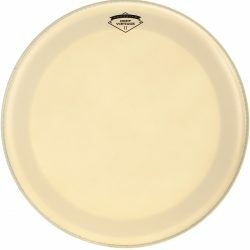 The Aquarian Deep Vintage II with Felt Strip has an excellent warm sound thanks to the unique coating. Designed to have the look, feel, and sound of calfskin, the coating gives a much greater emphasis to the midrange and low-end frequencies. 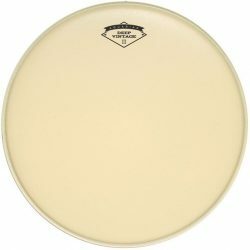 This bass drum head is a great option if you want a very warm sound, with minimal sustain and minimal overtones. The Aquarian Deep Vintage II also has excellent durability – these drumheads are built to withstand very heavy playing. 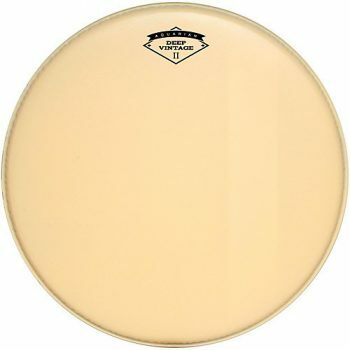 The added felt strip on the Deep Vintage II is a vintage-era method for applying extra dampening to the bass drum. 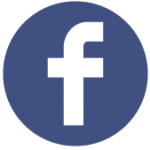 The resulting sound is focused, with slightly more projection and less overtones. Compared to the Super-Kick version of the Deep Vintage II, the Felt Strip version has slightly more sustain and projection. 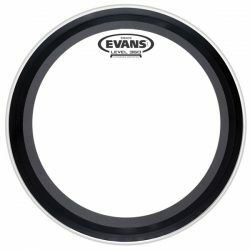 The felt strip provides less dampening than the Super-Kick ring, allowing this bass drum head to resonate more. 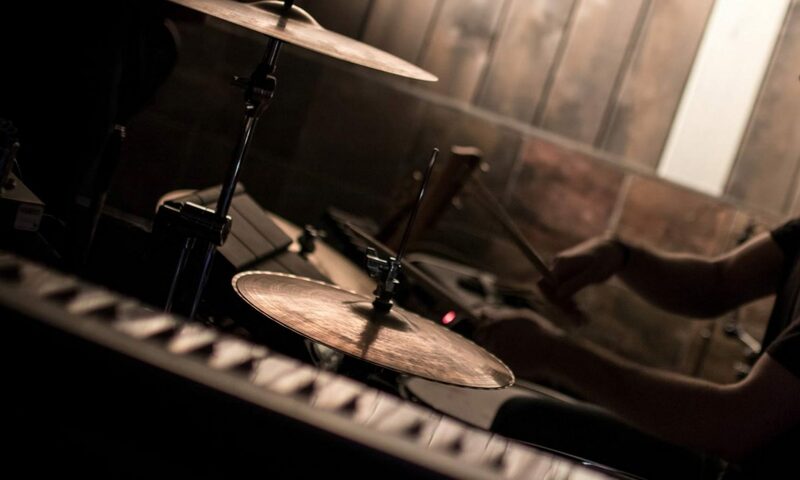 Compared to thinner or less dampened drumheads however, this head is still fairly controlled: giving you less ringing in your bass drum sound. 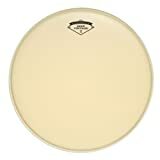 The Aquarian Deep Vintage II with Felt Strip is a great drumhead for a punchy, very warm sound that stands up to long-term heavy hitting.